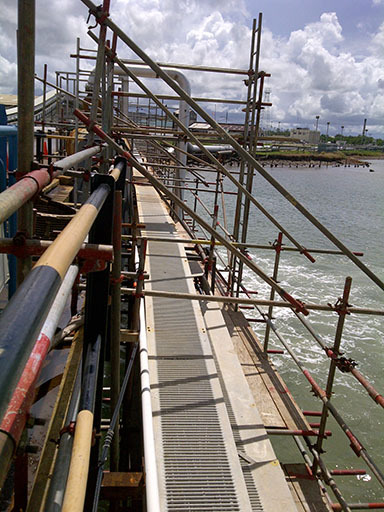 Safeway Access And Support Systems Ltd is a leader in the scaffolding industry since 1982. We can guarantee the highest levels of safety and experience on/off the job site. Safety is our highest priority and we can boast of a highly trained workforce who adhere to all SAFE to WORK practices. Our support services are in accordance with the institution of the UK Construction Industry and Training Board, (CITB), BS 1139, BS 5973 and new OSHA legislations. A serious commitment to provide reliable service and quality products for our customers, superior returns and long term growth both for the community and our employees and to continue to be mindful of its role as a good corporate citizen by example.